Army, Air Force, Marine and Coast Guard also apply. An unaltered photocopy of your DD-214 clearly displaying your Air Sea Rescue primary or secondary MOS or training completion. If your DD-214 does not list ASR authorization you must provide a copy of your DD-214 (Report of Separation) and a copy of your ASR authorization orders or documentation. 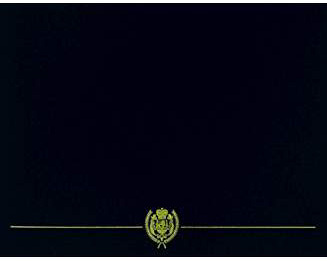 Air Force, Army, Coast Guard, Marine and Navy ASR applicants will use the Navy application form. 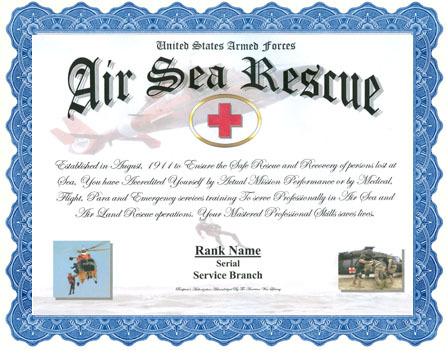 Air Sea Rescue commendation or recognition is authorized by Department of Defense (to include DHS/DOT) for Air Land Rescue operation service. Established in August, 1911 to Ensure the Safe Rescue and Recovery of persons lost at Sea, You have Accredited Yourself by Actual Mission Performance or by Medical, Flight, Para and Emergency services training To serve Professionally in Air Sea Rescue operations. Your Mastered Professional Skills saves lives. Air Force, Army, Coast Guard, Marine and Navy ASR applicants will use the Navy application form.